Hokkaido Sports Center contains three arenas for all types of indoor sporting events. 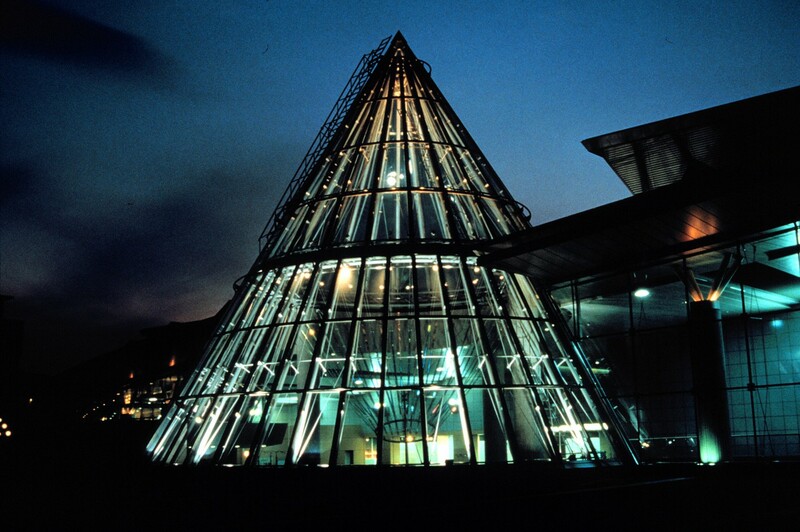 Its main entry is a dramatic 100′ high cone of glass known as the Pavilion, for which Ed Carpenter was commissioned in 1998 to design a monumental integrated sculpture. 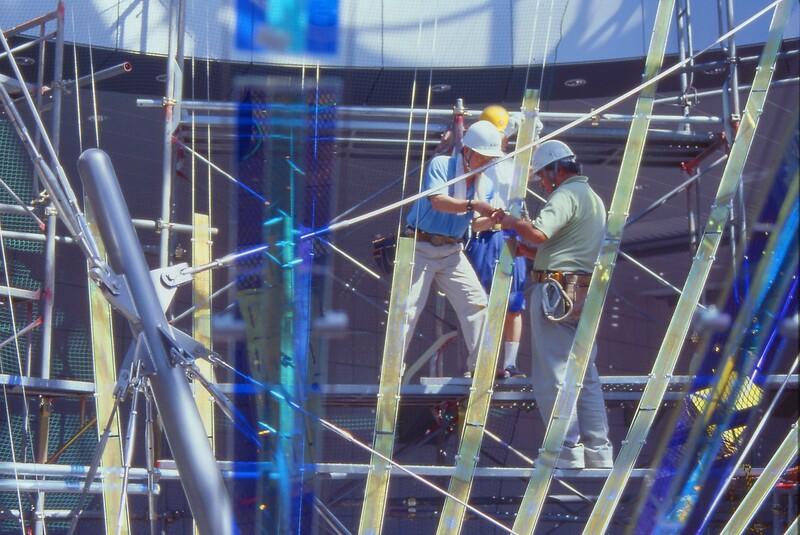 His objective was to create a delicate and transparent tracery of cables and glass strips within the pavilion which grow out of the building structure itself. 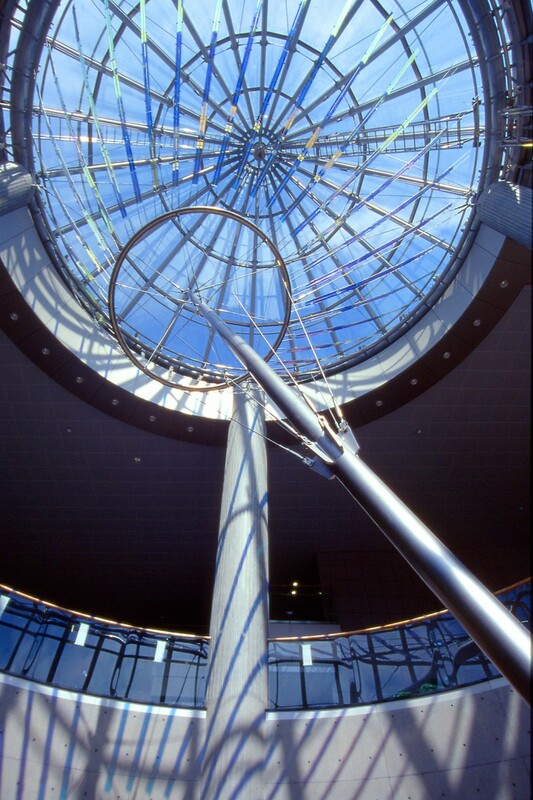 The architecture and sculpture are organically connected, inseparable. Yet the sculpture adds elements of mystery, asymmetry, tension, movement. Is it a device for making astronomical observations, an enormous seed pod, an abstraction of an athlete, or perhaps simply a serene sculptural form? 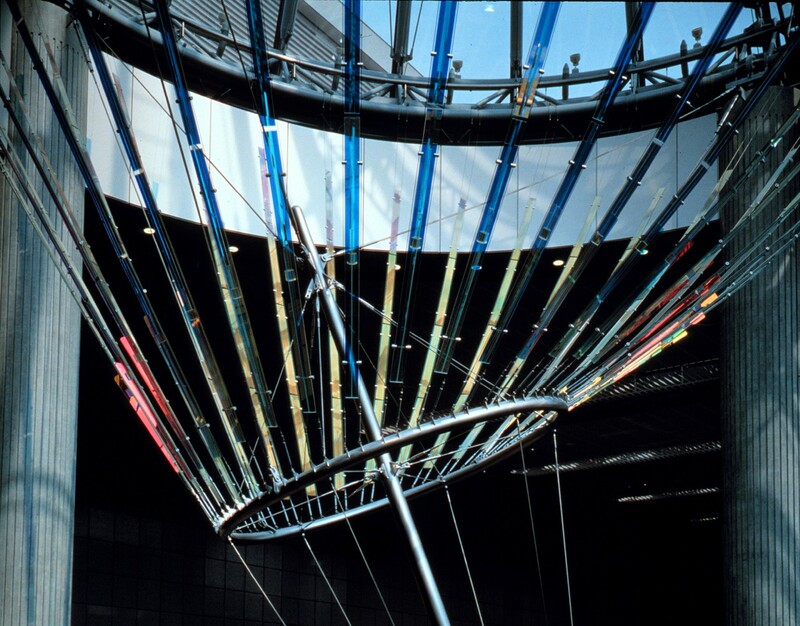 In daylight the cone of dichroic glass strips and stainless steel cables reflect and project subtly changing colors in kinetic patterns all around the architectural surfaces and deep into the lower story. At night the entire pavilion is a glowing lantern, visible from a great distance and sparkling with delicate luminosity. 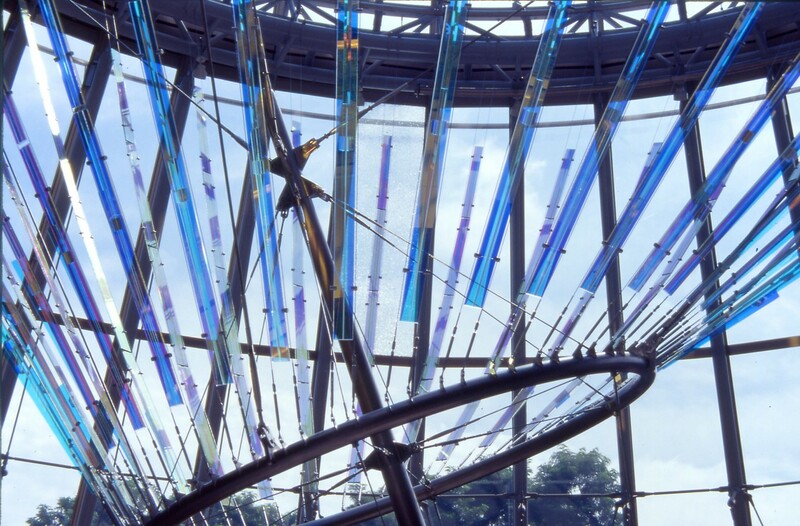 As one moves around the Pavilion, the dichroic glass blushes mysteriously. 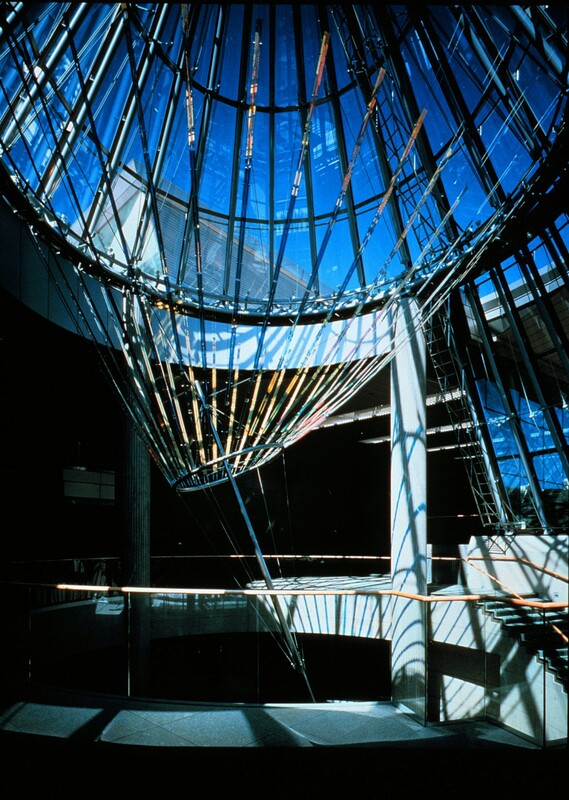 Yet the structure is so airy and transparent that from some angles it seems to disappear, leaving views out through the glass cone. To those who emerge from the darkness of the subway, the Pavilion is a crystalline welcome to the sunlight. To the rest of the city it is a beacon and a landmark. 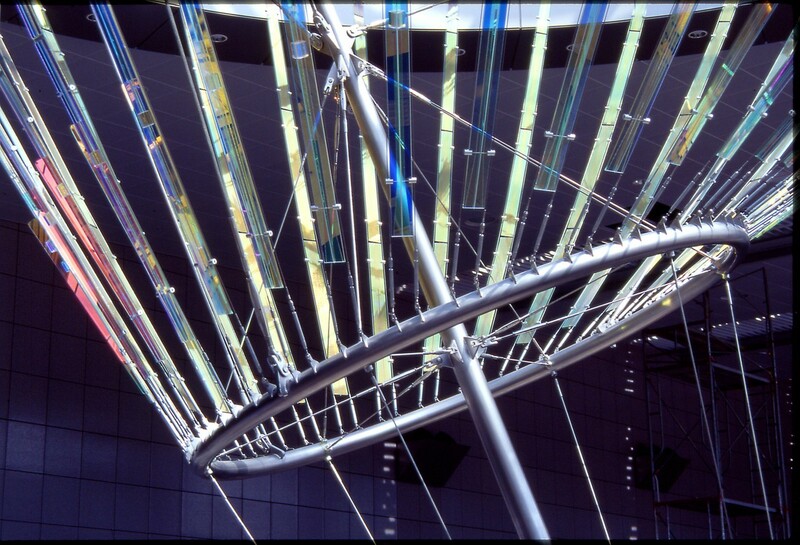 Materials: Laminated dichroic glass, stainless steel cables, hardware, and mast and ring. Art Consultant: ORIE Co., Ltd.
Metal Fabrication, Engineering and Installation: AIM. Co., Ltd., Sapporo, Japan.